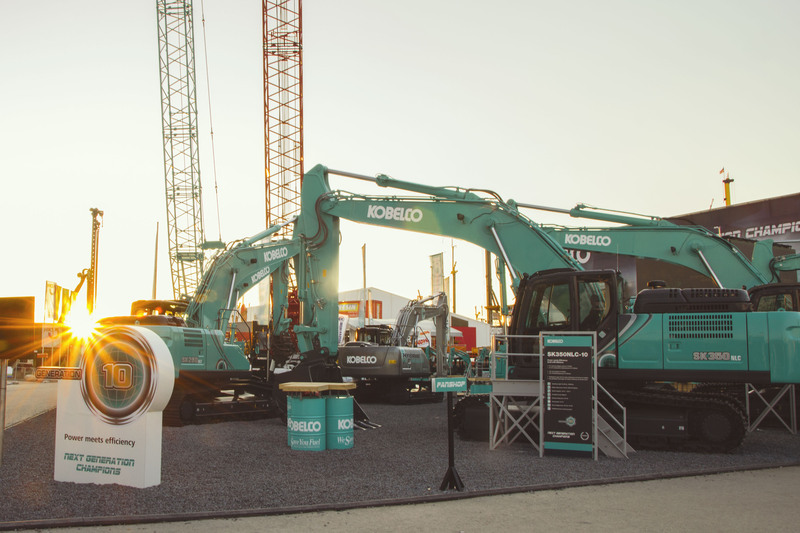 Thank you for visiting us at BAUMA - Kobelco Construction Machinery Europe B.V.
One year of planning, four weeks to set-up, 21 excavators, two cranes and seven days in April… Our presence at BAUMA 2016 was our biggest yet and we’re pleased you could join us to make it a big success! Despite the changeable weather, we welcomed hundreds of you to our stand during the course of the event, and we were interested to hear what you thought about our Next Generation Champions. Did you visit our Operators’ bar, enjoy a game of foosball or treat someone to a Kobelco gift from our Fan Shop too? Check out the videos and photos from the event on our BAUMA blog and don’t forget to share your best photos with us using #KobelcoChampions. We look forward to seeing you again soon!